Most of you who know me and love me know that I keep a little collection of the things found in library books. These are usually pictures, letters, bookmarks, etc. Money happens once in a blue moon. If the items are returned in a book in our library system, we can usually find the person and get it back to them. But when someone leaves a pile of donation books on the back dock? Sorry, that is now officially property of the library. I think once a week I’m going to share a few with you, and if I made a note of it, the book in which the item was found. So let’s start with the most dramatic, shall we? 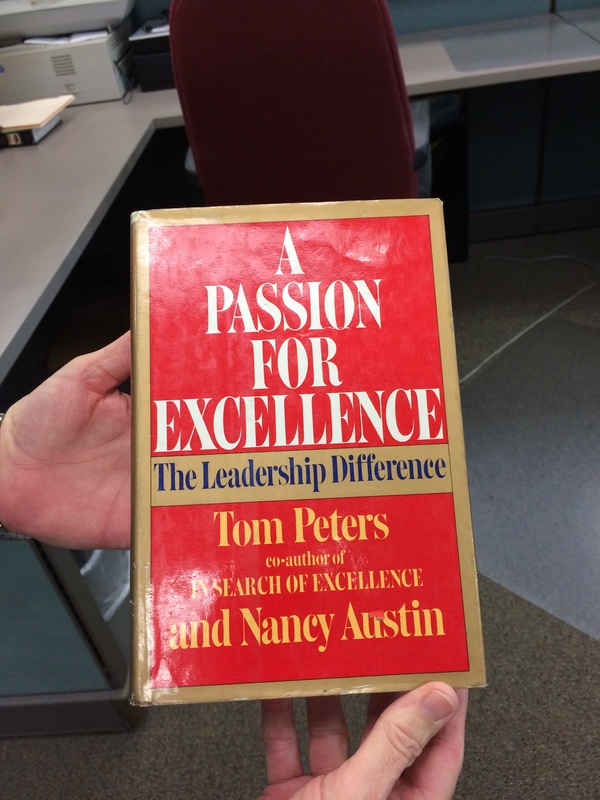 Just before Christmas, my husband Kosta, who handles the donations to our library found a book–A Passion for Excellence: The Leadership Difference. He he thought it sounded like quite a snore. Until he picked it up. Yup, that’s a .38 special. We’ve seen hollowed out books before, but they have always been empty. 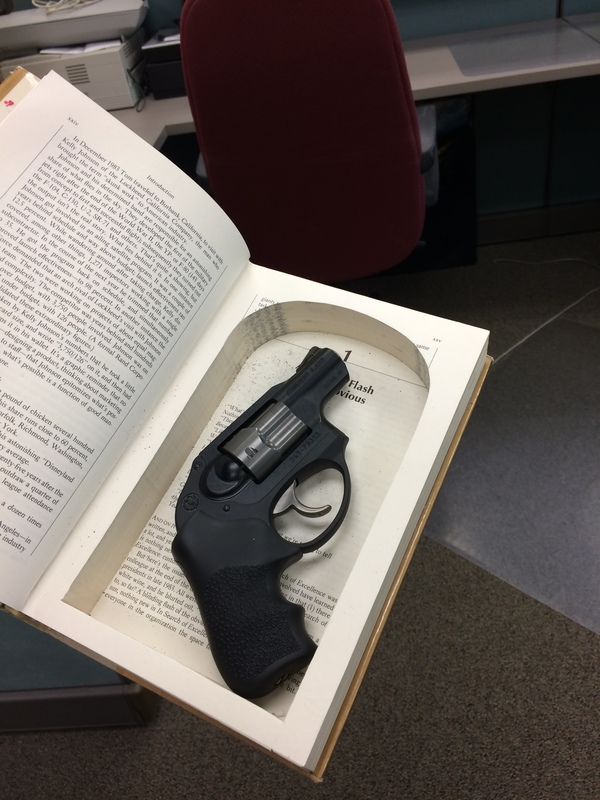 We couldn’t quite believe someone would just forget it was there and donate it to the library. It wasn’t loaded, thank goodness, and we did call the police. The officer himself was quite blown away (oh, pun intended) and they ran the serial number and came up with nothing. My personal theory is that some old coot kicked the bucket (because Naples is where folks come to die), and the kids came to clean out the house and just packed up the books, not knowing it was there. 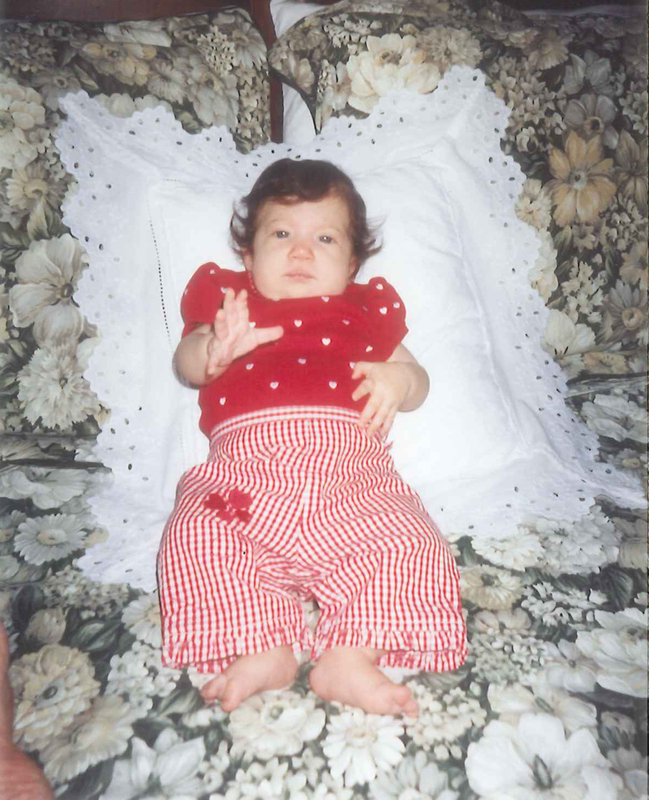 This next one is a personal favorite of mine. I don’t have the title of the book in which it was found, but this was an early find before I really started keeping track. 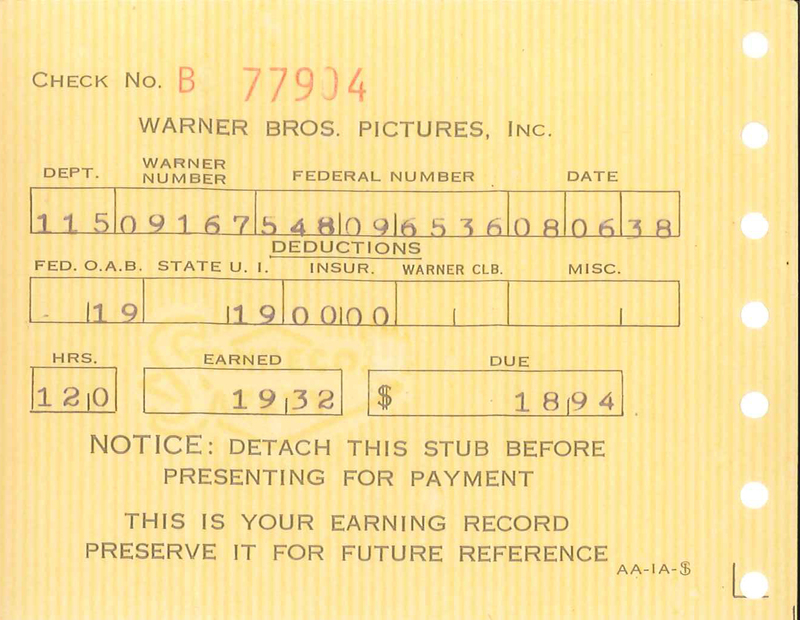 It’s a pay stub from Warner Bros. Pictures with a date of August 6, 1938. The unnamed employee worked 12 hours and received a net sum of $18.94. This one was found in James Patterson’s 1st to Die.